Tip #1: there’s a resource for worry-free installation – professional installers. We strongly suggest you call upon our reliable and seasoned professionals to install your vinyl flooring. That way you can be assured of a beautiful, efficient and correct installation. A professional installer can determine if your existing vinyl flooring is acceptable or if it will need to be removed. If you prefer to remove your present floor covering yourself, do it at least one day prior to installation to allow for cleanup and floor preparation. If removing old carpet, please remove the tack strips and pull the staples out of the floor from the original pad. 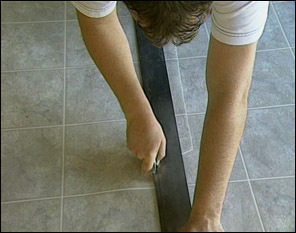 You should know that, in many cases, moldings and baseboards need to be removed for vinyl flooring installation. Installers will do this for an additional charge but will not be responsible for damage or breakage due to dry or brittle wood. Your installer may remove doors in order to install the vinyl and re-hang them at an additional cost. If there is a clearance issue you may want to arrange for a qualified carpenter to shave or cut down your door(s) after the installation of your new vinyl floor. Installing new vinyl flooring will produce waste. These materials will be collected and disposed of by your installers at an additional cost. Be prepared to be at home the day of installation and be available in case your installation crew has questions. Your presence will insure that the correct vinyl is installed in the right areas. Because it is difficult to estimate the length and circumstances of each job, we may not be able to give you an exact time of arrival but we will provide a time frame. We recommend that, prior to the completion of the installation; you walk thru the job with your installation team. This will give you the opportunity to ask questions and be clear on any final details. Time and temp are important. For a minimum of 24 hours after your new vinyl floor is installed, protect all the seamed areas, don't walk on them or the seam sealer. If your installers used the Floating method, appliances can be moved in immediately and foot traffic is OK immediately following installation. Being prepared is the result of being informed. 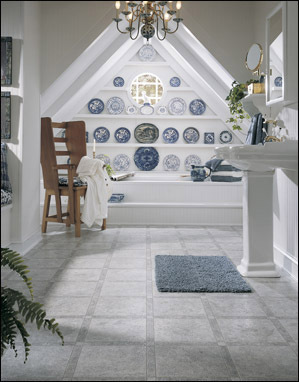 We want you to be as well prepared as possible for the installation of your new vinyl flooring. To that end we’ve assembled the most knowledgeable sales people and provided you the names of experienced installers to provide you with solid information, reliable resources and proven solutions.